Comments on the politics of Grand Rapids Charter Township (Michigan). Back in 2012 I made an interesting but entirely unsuccessful effort to win a seat on the Grand Rapids Township Board. 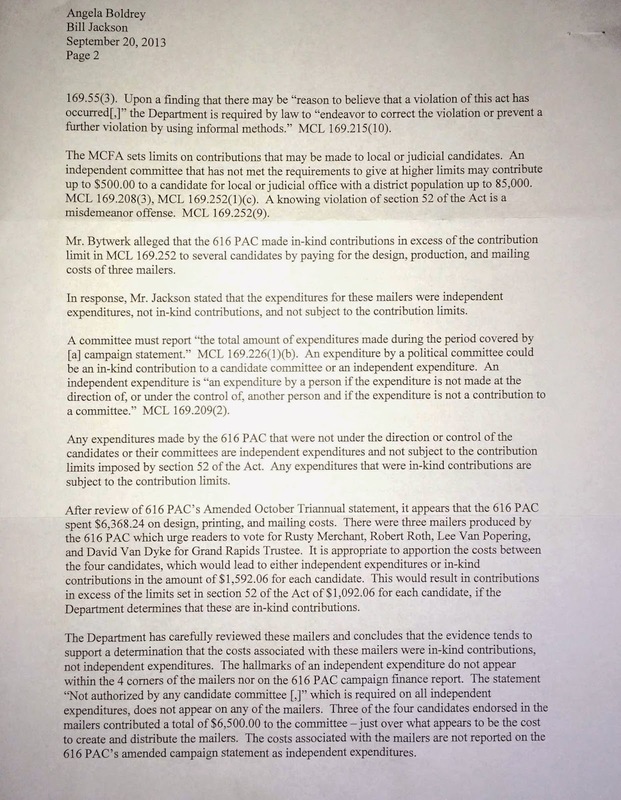 The incumbent trustees found it unnecessary to do much, if any campaigning, depending on the work of Bill Jackson’s 616 PAC. At the time it seemed to me that the 616 PAC had played rather flexibly with the Michigan campaign finance laws, providing more support for the incumbent trustees than was legally allowed. 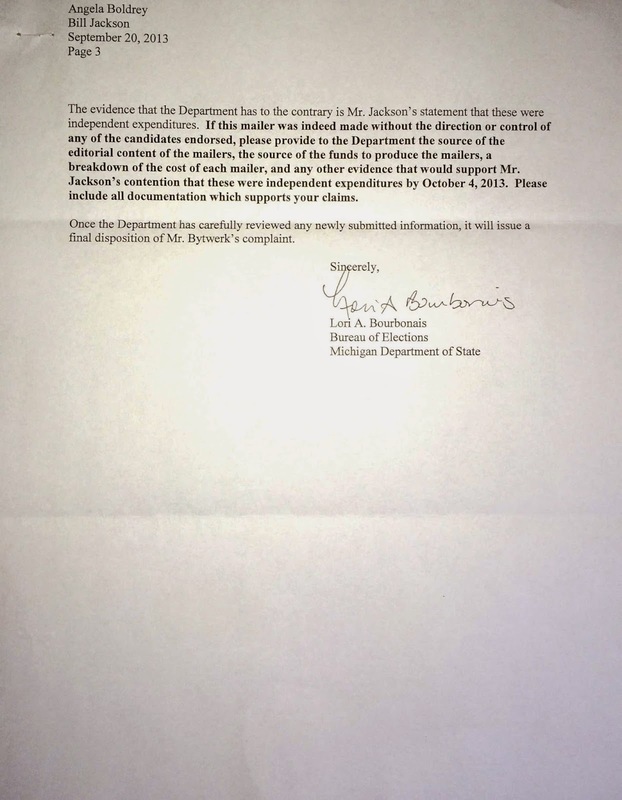 I filed a complaint with the Bureau of Elections in Lansing. They have moved with less than haste to resolve my concern. 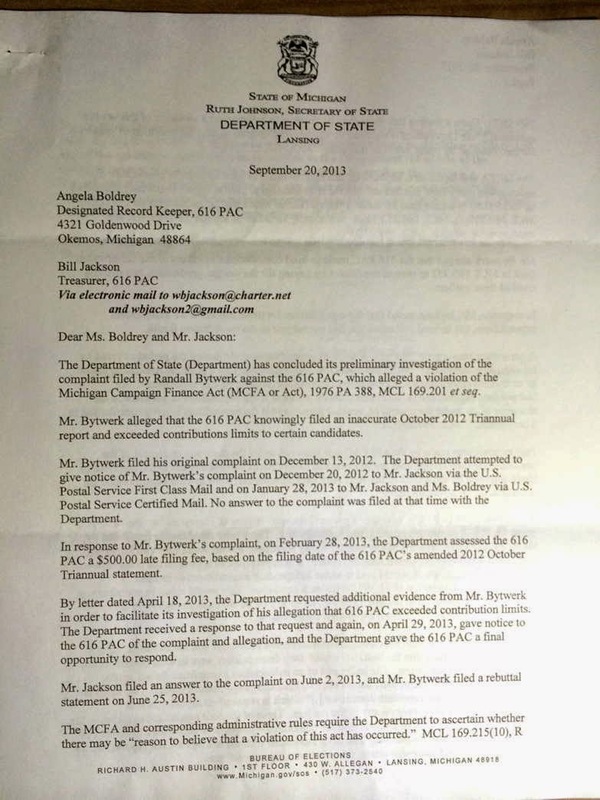 Initially they assessed a $500 penalty for filing an inaccurate financial report. In the eleven months since, nothing further has happened. I check with the Bureau of Elections occasionally, and am told that “the conciliation process is still ongoing” with regards to my complaint. I’ll post the eventual outcome of my complaint, whatever it may be.